My Twenty Years of Racing. London: Temple Press Limited , 1961. First edition, early printing of the racing legend’s autobiography. Octavo, original cloth, illustrated throughout. 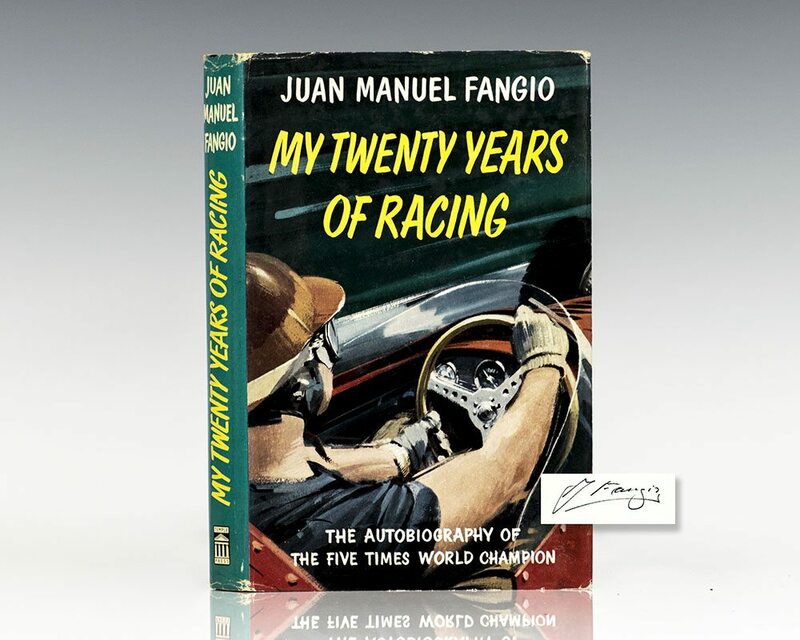 Boldly signed by Juan Manuel Fangio on the title page. Foreword by Stirling Moss. Bookplate, near fine in a near fine dust jacket. Jacket design by Michael Turner. In collaboration with Marcello Giambertone. Books signed by Fangio are rare. 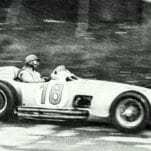 Juan Manuel Fangio was an Argentine racing car driver. He dominated the first decade of Formula One racing, winning the World Drivers' Championship five times. From childhood, he abandoned his studies to pursue auto mechanics. 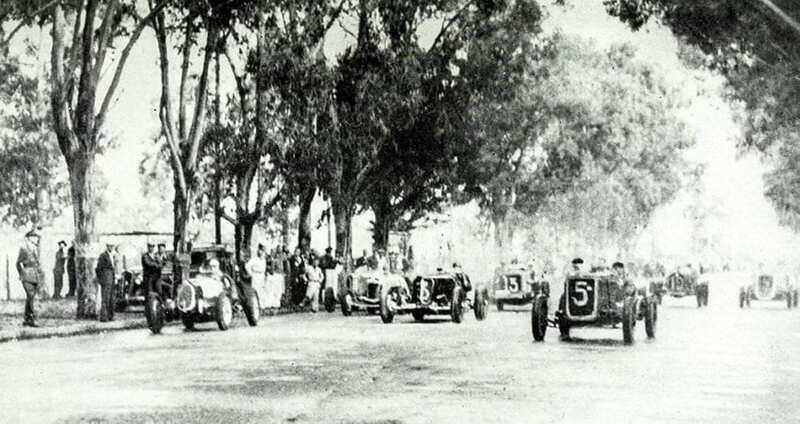 In 1938, he debuted in Turismo Carretera, competing in a Ford V8. 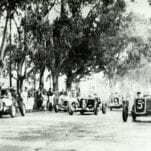 In 1940, he competed with Chevrolet, winning the Grand Prix International Championship and devoted his time to the Argentine Turismo Carretera becoming its champion, a title he successfully defended a year later. 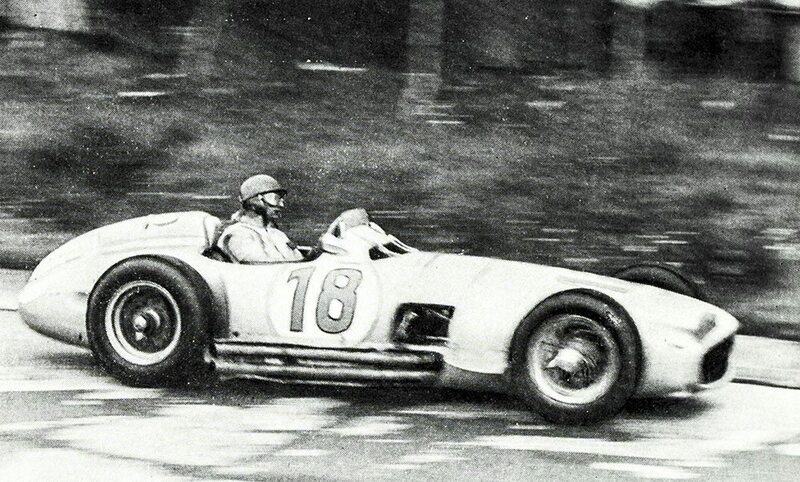 Fangio then competed in Europe between 1947 and 1949 where he achieved further success. He won the World Championship of Drivers five times—a record which stood for 47 years until beaten by Michael Schumacher—with four different teams (Alfa Romeo, Ferrari, Mercedes-Benz and Maserati), a feat that has not been repeated. A member of the Formula 1 Hall of Fame, he is regarded by many as one of the greatest F1 drivers of all time and holds the highest winning percentage in Formula One – 46.15% – winning 24 of 53 Formula One races he entered. Fangio is the only Argentine driver to have won the Argentine Grand Prix, having won it four times in his career—the most of any driver.